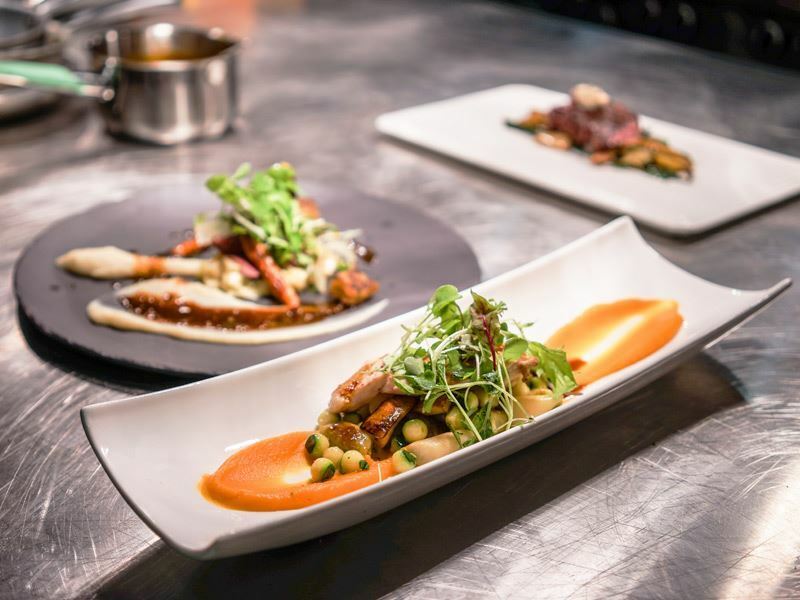 Home to a seemingly constantly expanding circle of gourmet eateries specialising in everything from distinguished French-Canadian cuisine to original gastronomy from across the globe, Quebec City is one of the best places on earth to dine out in. With access to incredible local farms and fisheries which produce stellar ingredients, restaurant owners in this city take full advantage of the local meat, fish and produce available at their fingertips and use it to create rich, soul-warming food that makes you smile inside and out. 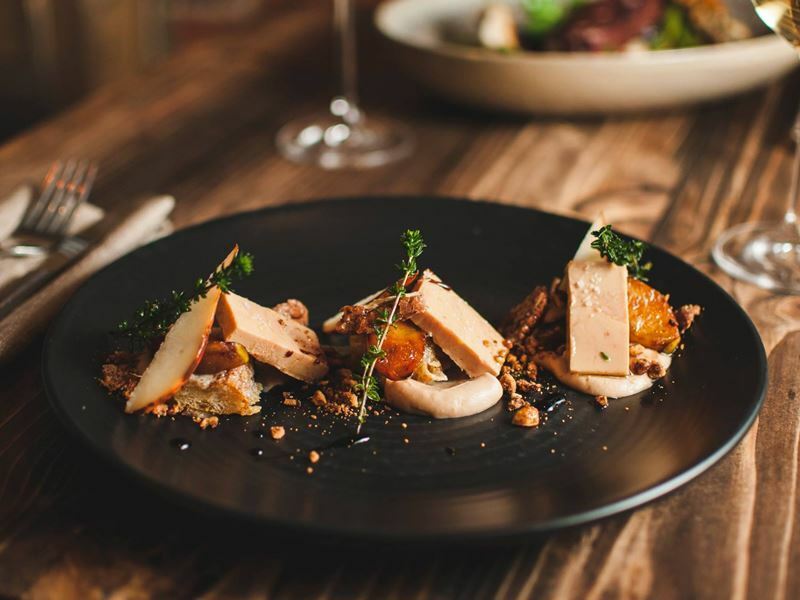 To savour the ingenious innovation and strong tradition which intertwine in restaurant kitchens throughout the area, we recommend you make a reservation at one of these top 10 restaurants in Quebec City. The scene: Regularly rated one of the top ten fine dining restaurants at the Traveller’s Choice Awards with one of the best wine lists in the country, Le Saint-Amour combines tradition with innovation to create an exemplary experience for hungry guests. The restaurant space is divided into three dining rooms, one of which boasts a beautiful indoor garden with a soaring glass ceiling, and also includes a sensational wine cellar which stocks hundreds of labels. Offering a thoughtfully curated selection of French cuisine, the menu highlights refined, healthy ingredients sourced from local producers and turns them into spectacular dishes, such as hare ravioli with foie gras flakes and British Columbia sturgeon with herring caviar. For the ultimate foodie experience, treat yourself to the set ‘Inspiration’ or ‘Discovery’ menu, each laden with a medley of sweet and savoury delights guaranteed to enchant your palate. Signature dish: Seared duck foie gras, served with beet cake, micro shoots, pistachio opaline and a pepper sauce. The scene: Known for its country-in-the-city atmosphere, Le Lapin Saute serves up creative French cuisine, with a particular focus on rabbit. 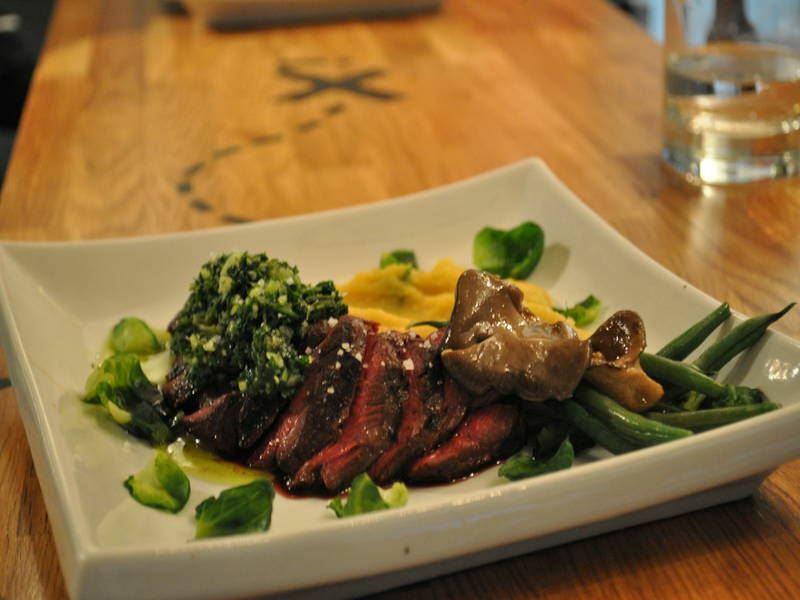 From warm rabbit liver salad to rabbit poutine, the rabbits in all the dishes are naturally farmed without the use of antibiotics, hormones, animal meal or fat. If you’re not a fan of rabbit, there are plenty of other decadent choices available, such as an incredible cured duck sharing platter and even a gourmet grilled cheese sandwich with apple, bacon and an onion compote. The desserts, especially the maple crème brulee, are beyond sublime and the comprehensive offering of drinks, including house-made sodas and non-alcoholic cocktails that sound just as good as their alcoholic counterparts, provide you with the perfect way to round off your visit. 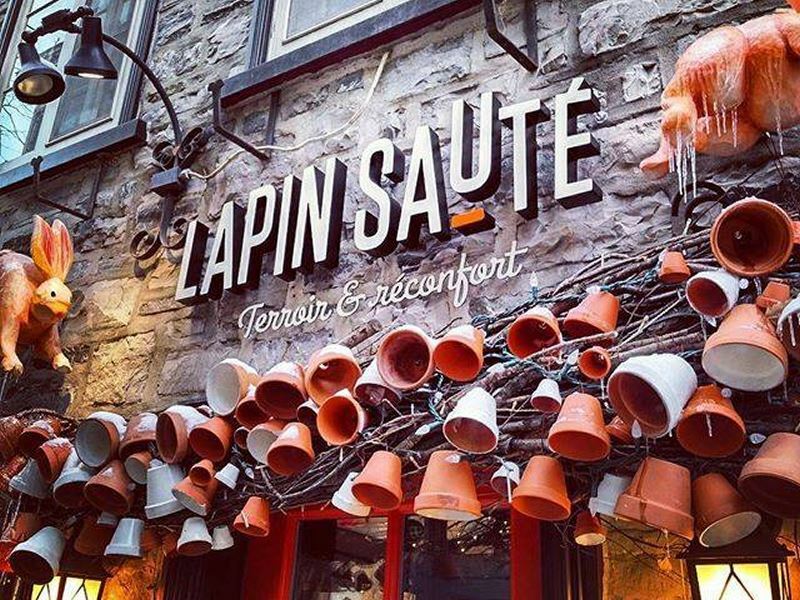 One of the best things about making a reservation at Le Lapin Saute is that it won’t empty your wallet – something which is rare to find for such high quality food in Quebec City. Signature dish: ‘Our Famous Cassoulet’ – confit duck leg, braised rabbit leg, duck sausages and fried bacon, served with a green salad. The scene: A prestigious and long-established fine dining establishment, Restaurant Le Continental has been delighting hungry diners with the finest traditional French fare in sophisticated, charismatic environs since 1956. Set inside a historic building which dates back to 1845 and located just steps away from the remarkable Chateau Frontenac, the restaurant is deeply rooted in tradition and offers a classic French menu to match. With signature delicacies from escargots with garlic butter and Atlantic smoked salmon with capers to sole Meuniere and chateaubriand, Restaurant Le Continental presents all the dishes which determined French cuisine as one of the finest in the world. 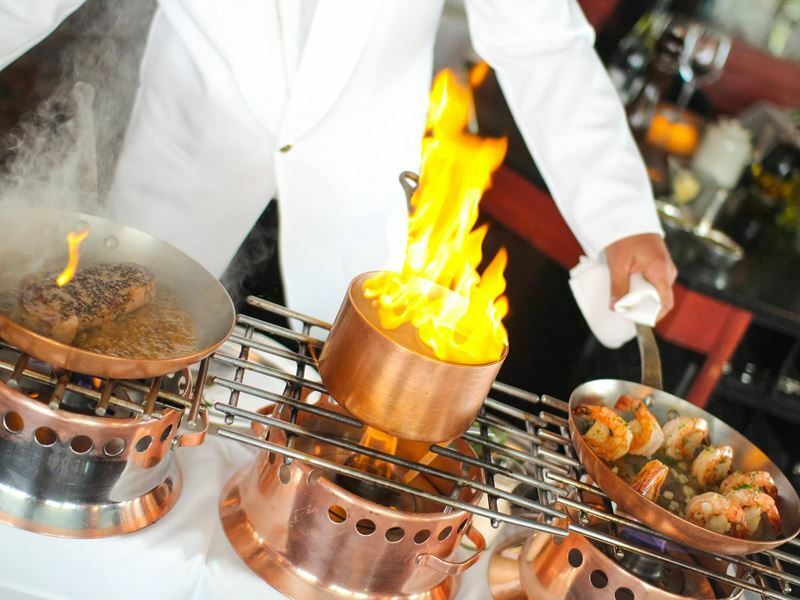 The experienced staff are some of the most highly qualified you’ll find in the city and they excel at special tableside service (especially flambé) providing you with a personalised evening, just the way you like it. Signature dish: Fillet mignon en boite, prepared tableside with a rosemary, thyme and mustard sauce. The scene: Hidden away inside Hotel Le Priori, Toast! 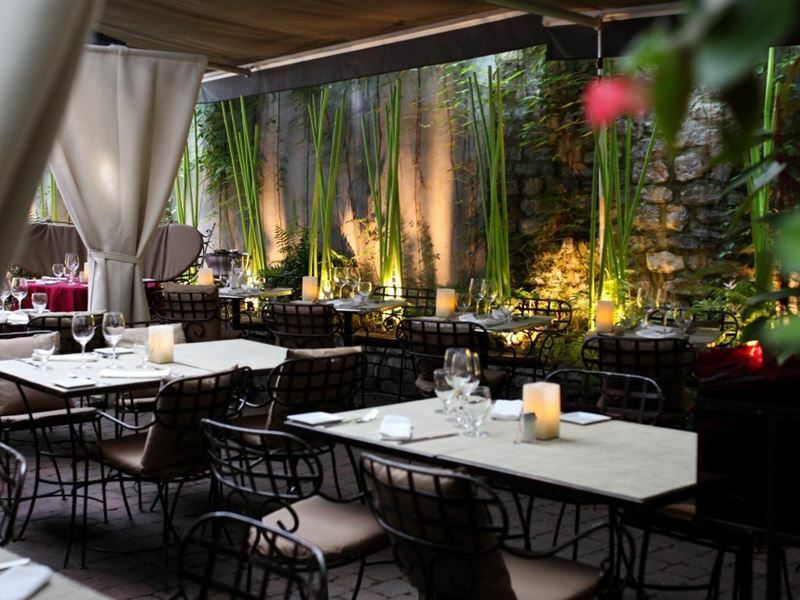 serves upscale French cuisine in an intimate dining room setting. Warmly decorated with a brick fireplace and comfy leather seating on the inside and a charming inner courtyard with stunning garden terrace on the outside, Toast! is the ideal spot to cuddle up on a romantic date night. The a la carte menu offers a variety characteristic dishes, such as roasted guinea hen with glazed carrots and veal sirloin in a mushroom and sage crust. But the real star of the show is the tasting menu. Comprised of six courses of heavenly dishes ranging from red tuna tartare with citrus fruits to medallion of roasted deer with blueberry sauce and pistachio and almond milk panacotta, the tasting menu walks you through the finest French cuisine. Superb wine pairings with examples from France and further afield is available for an extra charge. Signature dish: Seared foie gras from Canard Goulu Farm with crispy confit pork belly, roasted red pepper squash, nutmeg flower and maple cranberries, and a reduced poultry jus. The scene: Oozing authenticity and creativity, the gastronomy at Rioux & Pettigrew is inspired by the restaurant’s French roots and influenced by the international flavours that have made it across the border. Shunning canned and processed foods for fresh, seasonal ingredients with flavours that burst onto the plate, this restaurant takes great pride in its market-fresh cuisine. Start your meal with an indulgent appetizer of butternut squash veloute with local cheese shavings or homemade gravlax smoked over maple wood before moving onto fresh catch of the day served with ratatouille or slow-braised Canadian beef cheek. 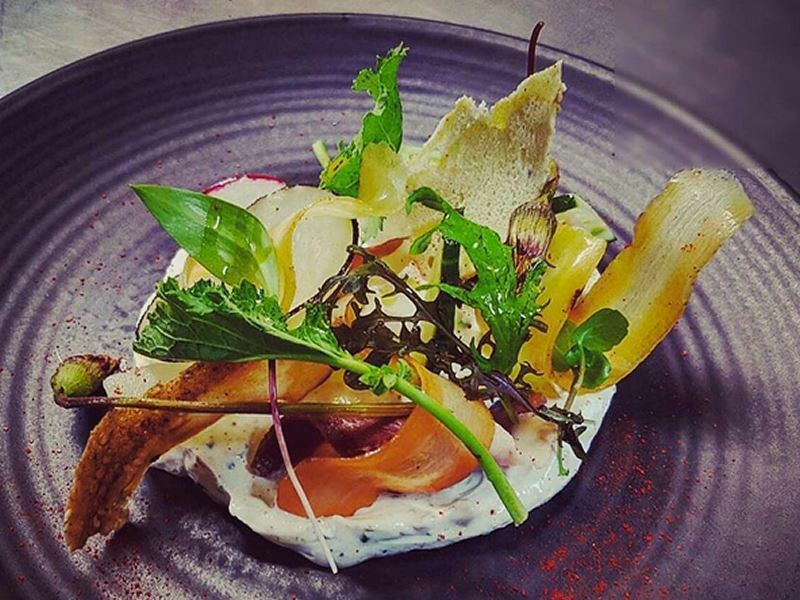 If you simply can’t settle on just one dish, opt for ‘La table de Pettigrew’: a unique chef-driven creation designed to let top quality ingredients sparkle and awaken your senses. The shabby-chic surroundings, with wooden accents, decorative rice sacks and metal can adornments provide an arty enhancement for the rustic, home-style cuisine. Signature dish: Sweetbreads from Quebec, pan-seared in butter and served with corn meal, roasted scallops, white wine veloute, organic baby potatoes, pearl onions, leeks and fresh corn. The scene: A visit to Laurie Raphael is a truly dazzling experience. The haut French restaurant gives a la carte the cold-shoulder in favour of opulent set menus of 3-13 dishes with optional wine pairings. The menus are presented in five distinct epicurean themes: ‘New Arrival’ – combining creativity with fresh regional ingredients, ‘Heritage and Traditions’ – a walk down memory lane, ‘Cuisines and Classics’ – celebrating the popular favourites, ‘The Flavour Transmission’ – new takes on old signatures, and ‘The Season’s Mark’ – highlighting local flavours. Although the plates are frequently changed to reflect seasonality and freshness, some classics appear in rotation, such as pheasant with amaranth popcorn, red tuna belly with matsutake mushrooms and ash-coated cheese with burnt bread soup. So everyone can enjoy a little taste of heaven, Laurie Raphael also offers a seven course vegetarian menu. 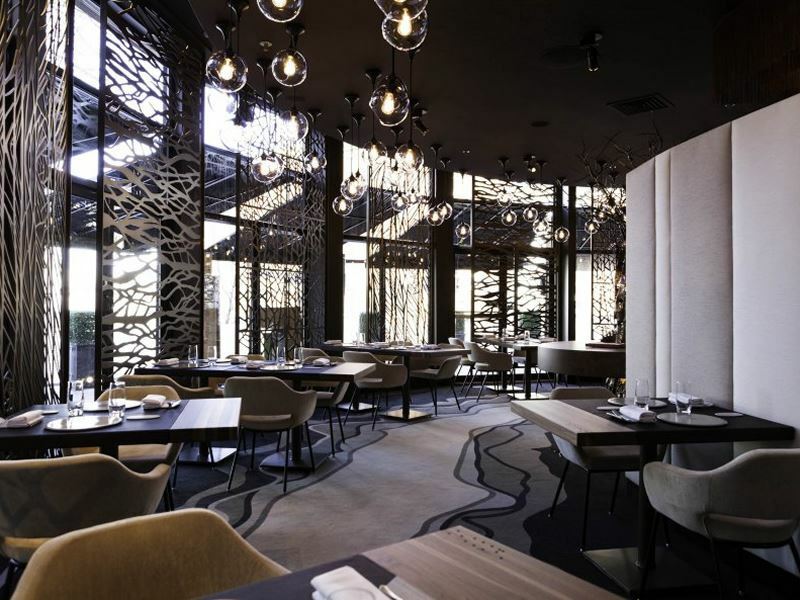 To complement the extravagant cuisine, the surroundings are equally luxurious, appointed with a minimalist colour scheme, creative hanging lights and contemporary wall designs, giving the place a modern, trendy feel. Signature dish: Due to the changing nature of the menus, there’s no signature dish. The scene: A bistro that, on first impressions, prides itself on its edgy bad boy image, Les Sales Gosses’ secret lies in its ability to balance everything perfectly. In contrast to the unmistakably masculine décor with black and white colour scheme, stark uncovered lighting and skull wall decorations, the Italian-French fusion menu is much more subtle and gentle on the palate, treating the taste buds to a plethora of welcome sensations. From pheasant ravioli with apple butter and veal sausage with smoked tomatoes to beef short rib with cheddar mash and catch of the day with lobster risotto, each dish on the inviting menu combines the best of France and Italy in every mouthful. An incredibly knowledgeable sommelier is present at every sitting to provide guidance and recommendations when it comes to wine, while the friendly and approachable servers are perfectly attentive, without being overbearing. Signature dish: Grilled and marinated cobia fish with orzo, sundried tomatoes, pine nut salad and chimichurri. The scene: Transporting diners back in time and returning them to their roots, Restaurant Legende provides the ideal place to share a special moment with friends and family while rediscovering Quebec’s rich landscape and everything it offers. This specialist restaurant pays culinary homage to our ancestors with an eclectic Canadian menu that extends from modern times all the way back to our Aboriginal beginnings. Creating an inspirational tale of fine cuisine influenced by a myriad of historical events handed down through generations, the restaurant’s dishes range from delightfully bizarre, like cricket ravioli and duck gizzards, to comfortingly familiar, such as scallops with celeriac roots and mackerel on toast. 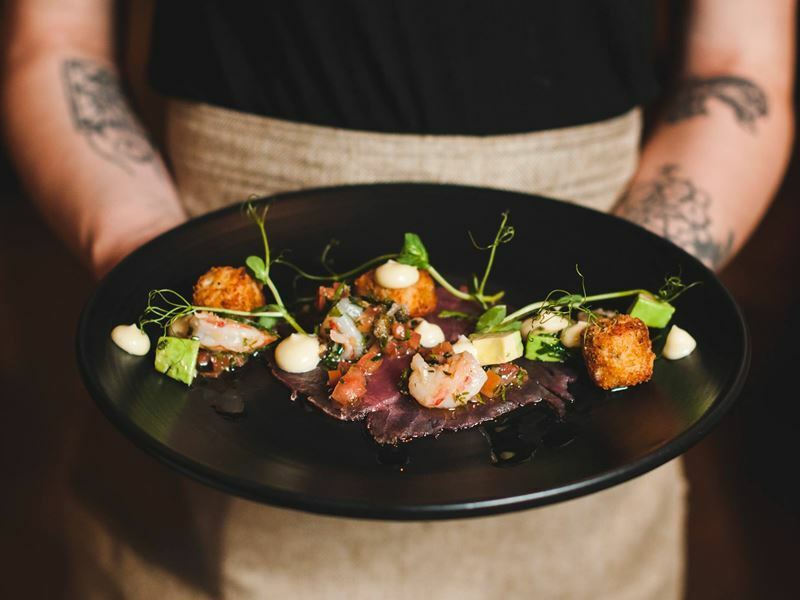 The a la carte menu is comprised of small plates designed for sharing amongst the table, but it pales in comparison to the multi-course tasting menu which never fails to impress even the fussiest epicurean. Signature dish: Due to the frequently changing nature of the menu, there’s no signature dish. The scene: Set inside the Old Port’s former bank, a building well-known for its graceful, striking architecture, Restaurant Initiale is a treat for the eyes as well as the taste buds. Juxtaposing the exterior of the wonderfully preserved, centuries-old building, the interior of the restaurant is refreshingly modern, with soft lighting, a subtle colour scheme and large windows which look out over the river. Tying in with the décor, the cuisine served here is contemporary French and dishes change regularly according to market availability. 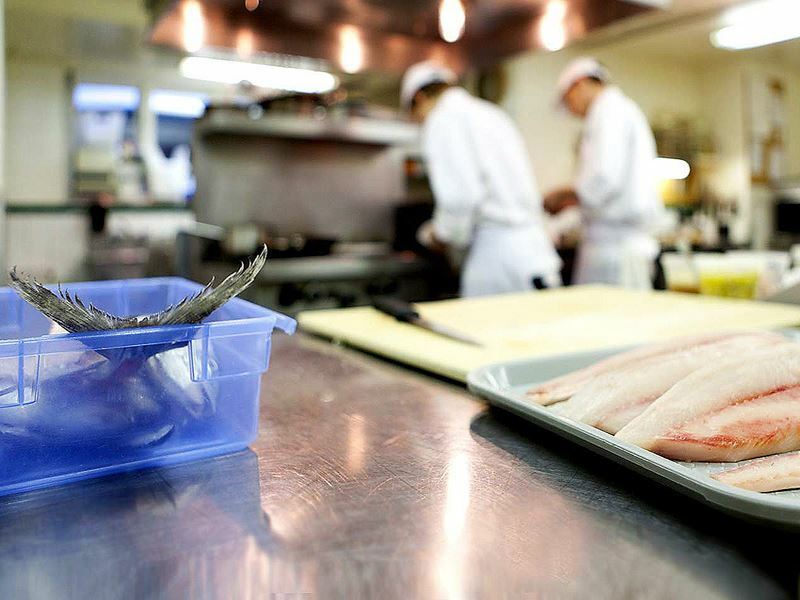 Innovative options bursting with creativity and presented with flair are the order of the day and whether you opt for some wild game, calf sweetbreads, roasted fowl or smoked fish, you’re in for a real treat. Diners can choose between the extravagant eight-course tasting menu or the more modest four-course tasting menu, each of which is brimming with flavours and textures carefully selected to surprise, excite and enrapture. 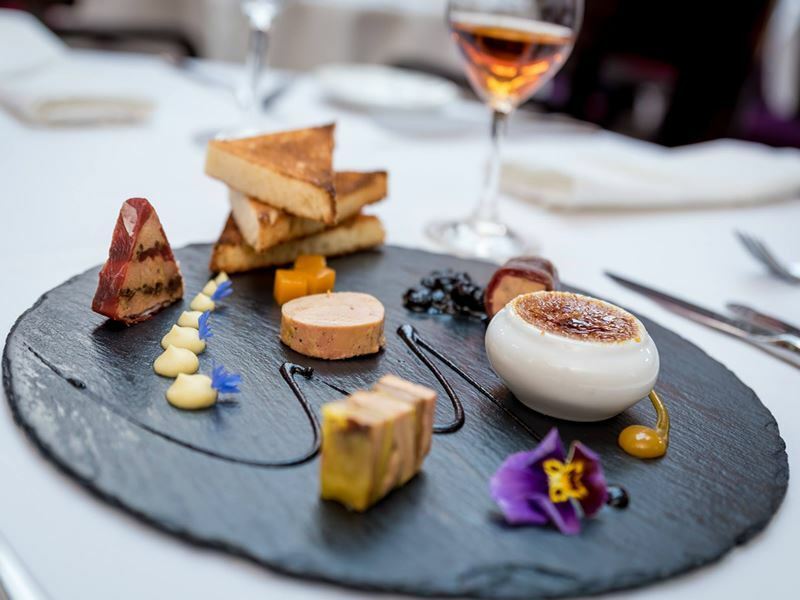 Signature dish: Terrine of foie gras with currants, pear and pear cake. The scene: A small and cosy restaurant that can seat a maximum of 22 diners at a time, iX pour Bistro has all the exclusivity you’d expect of such a place without any of the pompousness. You won't find any grandiose multi-course set menus here – instead, a nightly-changing humble selection of three starters, four main courses and three desserts is showcased on a blackboard. Service is conducted by just two people, one chef and one waiter, who work dynamically together as a duo and create a laid-back, buzzing atmosphere. The nightly-changing menu represents an assortment of ingredients which are in their prime and ensures a new experience with every visit. But to give you an idea of the contemporary French dishes prepared, previous diner favourites include duck confit-stuffed pork loin with grilled buckwheat, lamb loin topped with goat cheese and an exceptional foie gras mousse dessert. Tables are reserved weeks in advance (months if you’re looking to book on a weekend) so make your reservation as early as you can. Signature dish: Because the menu changes nightly, there’s no signature dish. 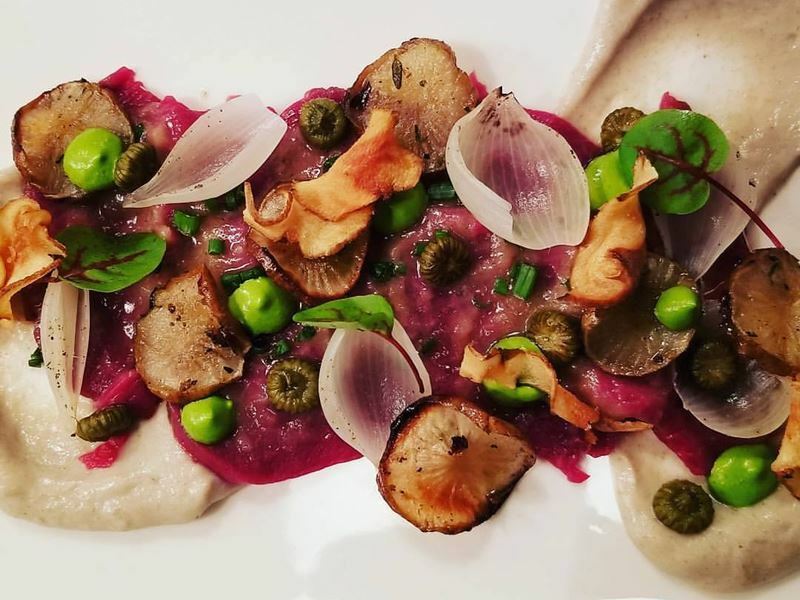 With new places opening up on an almost monthly basis, it was impossible to cap our list of the best restaurants in Quebec City at just ten establishments. From model French cuisine served in Parisian-inspired surroundings to a fast food café rising the everyday hamburger to whole new levels, here are an extra five amazing restaurants that definitely deserve a mention. An elegant café with beautiful high ceilings and white linen tablecloths, Le Clocher Penche Bistro serves classy French bistro-style food and is particularly admired for its deliciously rich brunch offerings, including homemade brioche with fresh fruit, bagels with smoked mackerel and bean chilli with poached eggs. Serving authentic French cuisine in a romantic, charming atmosphere, Café Saint-Malo provides a kitschy, snug dining room decorated with unusual art and trinkets in which to enjoy classics such as cassoulet and garlic mussels in white wine along with a selection of Quebec-inspired dishes, like venison ravioli. 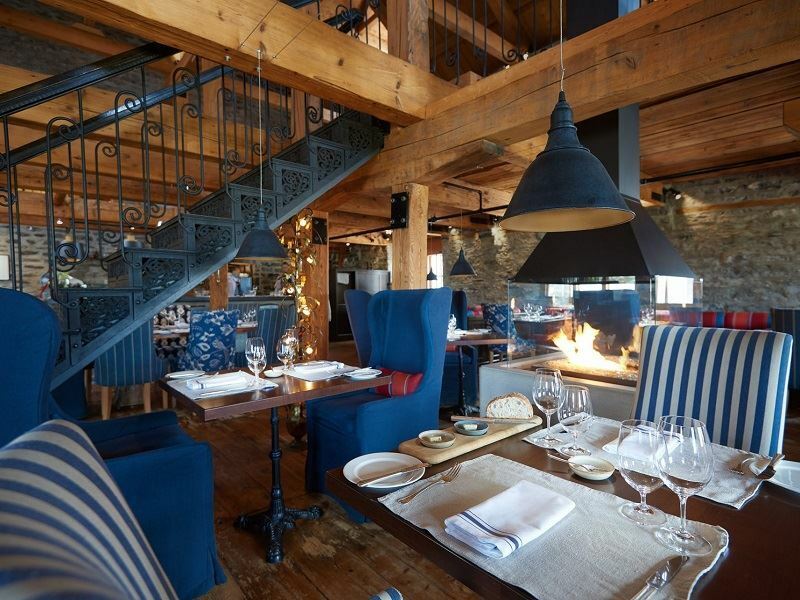 A French-Canadian farmhouse inspired restaurant where expert culinary skills, a thoughtfully curated wine programme and warm service fuse together, Chez Muffy sources their ingredients from local farmers, fishermen and producers and uses them to create tempting offerings, like lamb loin with butter-glazed turnips and Atlantic halibut with pickled blueberries. Your first stop when a comfort food craving calls, Le Chic Shack serves up popular Canadian favourites, such as drool-worthy burgers, poutines and milkshakes made exclusively from fresh, premium ingredients, creating gourmet fast food worlds away from anything you’ll find at your local burger joint. Offering a one-of-a-kind dining room divided up into four different sections, each with their own atmosphere, La Planque is a vibrant gastropub specialising in New Canadian fare, like rabbit served with squash and salmon poached in tea stock, alongside an impressive array of cocktails and wines.